Gypsy was born, 100 years ago this January, with a caul over her face, which she took to mean she had a gift for seeing the future. When she was a kid on the vaudeville circuit, she spent her downtime telling fortunes and reading tea leaves. One day she had a vision about a boy in the act—she saw a terrible car accident in which he was decapitated. This vision came true just a few weeks later, and she never read tea leaves again. She began working in her sister’s vaudeville act when she was just four years old. Vaudeville was like the reality TV of the 1920s, featuring authentic talent like Harry Houdini and Fannie Brice, but also some strange and occasionally disturbing characters as well. One of my favorites was a man named The Amazing Regurgitator. For his grand finale, he had his assistant set up a small metal castle onstage while he drank a gallon of water followed by a pint of kerosene. To the accompaniment of a drum roll, The Amazing Regurgitator ejected the kerosene in a six-foot arc and ignited the tiny castle in flames. As the flames grew he then ejected the gallon of water and extinguished the fire. Gypsy was, according to June Havoc, “very involved in the underworld.” June said she was one of their pets, just like Sinatra, and that she “had no shame.” Gypsy’s mother never taught her to brush her teeth and refused to take her to the dentist. It was a gangster, a top bootlegger named Waxey Gordon, who finally took care of Gypsy’s teeth, and Waxey expected plenty of favors from Gypsy in return. Gypsy the person had a conflicted, tortured relationship with Gypsy Rose Lee the creation. For all of Gypsy’s mental fortitude and steely nerve, she was physically weak and oddly susceptible to illness. “The body reacted,” June said, “because the soul protested.” Taking just one aspirin could upset her stomach, and she suffered from severe ulcers that made her vomit blood. She adored her creation because it gave her the things she’d always wanted—fame, money, security—but she loathed its limitations, either real or perceived. She lived in an exquisite trap she herself had set. 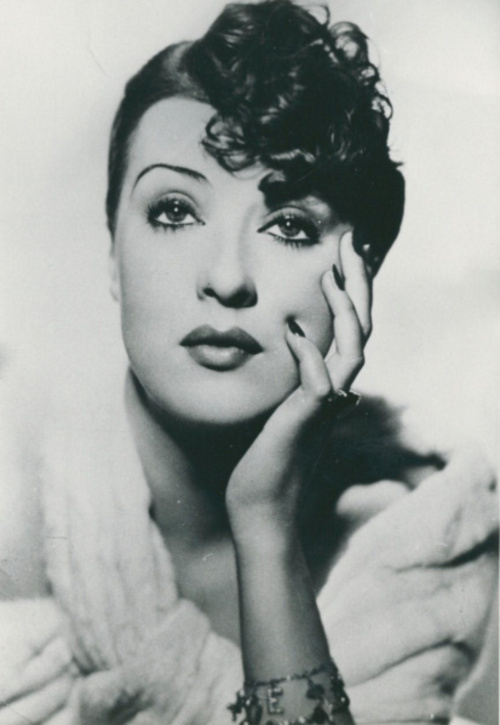 If Lady Gaga and Dorothy Parker had a secret love child, it would’ve been Gypsy Rose Lee. The woman knew how to make a dramatic entrance. On opening nights at the Met she would arrive in a long black limousine and step out wearing a full-length cape made entirely of orchids. She cultivated this image as a grand dame, but backstage, in her dressing room at Minsky’s Republic, she invited her burlesque friends to come watch her perform some very naughty tricks with her pet monkey. There were no limits to her frugality. She was a true child of the Depression and itemized everything, on a daily basis, from cab rides to tips at the hair salon. When Edward R. Murrow came to interview her in her Upper East Side mansion, she accidentally dropped a hammer on her new marble floor—and then billed CBS for the damage. While other headliners stripped off every stitch of clothing (and, in some cases, their dignity as well), Gypsy backed up against the velvet curtain, standing tall and regal and unobtainable; the audience always begged for more and was secretly pleased when she refused. She was adored by factory workers, politicians, soldiers, Eleanor Roosevelt, gangsters, New York’s literary elite and everyone in between.